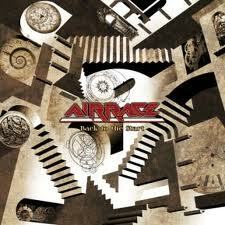 Airrace are a band that should have been beyond huge. Formed at a time when the likes of Def Leppard were ruling the waves across the pond over in the U.S., melodic music was definitely in the ascendency and all record labels had to have bands like this on their roster. For some unknown reason Airrace were in the minority (a golden nugget of a band) and like FM, somehow failed to make the grade. Mostly known in the Hard Rock circles for being the band that saw the musical debut from John Bonham’s son Jason on the band’s debut album for Atco ‘Shaft of Light’, AIRRACE was instead brainchild of former More guitarist Laurie Mansworth. ‘Shaft of Light’, produced by Beau Hill (Ratt, Winger, Fiona etc) received rave reviews when released in October 1984, showing a combination of breezy melodies and snappy choruses which moved journalist Derek Oliver to pronounce in the pages of Kerrang! that anyone who didn’t like Airrace “ought to be shot”. And quite right he was too! Although the band got to play support slots with Queen, AC/DC and Meat Loaf, Airrace crash-landed in the summer of 1985. It took a 25th anniversary re-issue of ‘Shaft of Light’ to reunite the band in 2009. 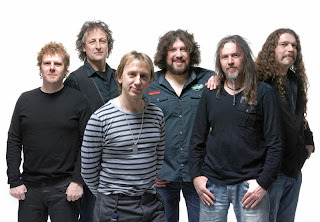 To celebrate the record’s expanded re-release, the original members Mansworth, Bonham with singer Keith Murrell and keyboardist Toby Sadler recruited two new members – second guitarist Dean Howard (formerly of T’Pau) and bassist Dave Boyce (ex-Samson, among others) – to hit the road, playing gigs with Thunder, Tesla, Winger and more, in addition to headlining their own shows. When Jason Bonham departed, the occupation of his drum stool by The Outfield’s Simon Dawson brought them vital stability. It’s this version that can be heard here. And all I can say is what a stunning piece of work they have done. Most of this praise (for me) has to be levelled at a certain Mr.Murrell and Mansworth. Almost 30 years down the line from being one of my fave singers (Shaft Of Light, and Mamas Boys’ Growing Up The Hard Way’), Murrells voice hasn’t changed a bit, and the exchange and interplay between the two guys is just a thing of great beauty. 30 years is a long time to wait for the dreaded sophomore (2nd album syndrome), but I am very pleased to report that Airrace have not put a single foot wrong. It’s like they haven’t missed a single beat and ‘Back To The Start’ which is appropriately titled, was recorded the following year, and not all these years later. It’s quite remarkable. Anyone can resurrect a career and try to recreate former glories, but I really believe that Airrace have really pulled this one out of the bag. They also believe that they are not just making up the numbers for a quick buck with Frontiers, and the result is a melodic gem, only slightly heavier than the original. What a fantastic album, i have most of these songs on a demo tape from 25+ plus years ago and they sound fantastic now ! Guys please tour the album !! All the best Lynn & Phil Keith Murrells cousins.